It was almost a bit of deja vu people would say, as the defending Canadian Champions would go back and do it again this time winning the title in Regina Saskatchewan. Skipper Josephine Lee would take her team of, Pricilla Westlake, Sarina Mak, and Gigi Chan and defend their title as British Columbia B defeated. 2018 BC Champions It was another great weekend of Provincial Championship Bowls in British Columbia, as it was a smaller field then normal that made it to Oak Bay, due to the new Bowls Canada structure of Canadian Championships. The new format only allows competitors to participate that haven't won a Provincial Championship into. The Canadian Under 25 Championships were held this weekend in Winnipeg, MB which saw three athletes from British Columbia head to the event to represent our Province. With a great few days of Bowls the U25 Girls would play 6 games as they would play two games against each competitor as there were 4 girls that. British Columbian athletes were in full force at the Canadian Youth Championships in Winnipeg, MB this past week as Emma Boyd and Auzzie Chambers would make a trip to the Gold Medal Matches in the Junior Championships. The week would start with the. 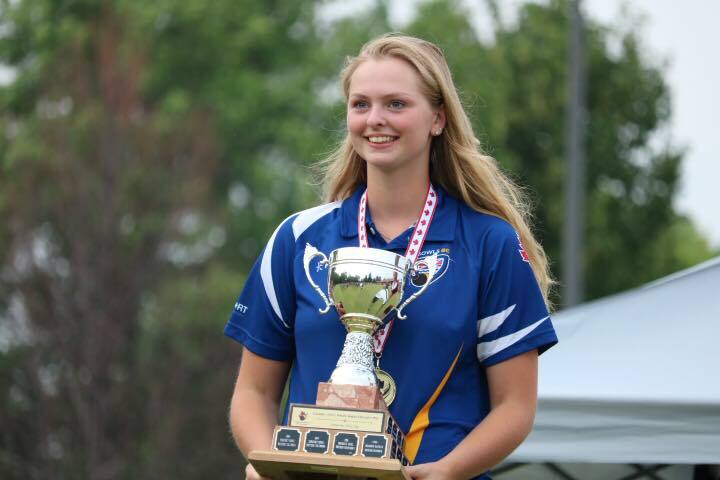 British Columbia's best youth lawn bowlers have made their way to St. James Lawn Bowling Club in Winnipeg, MB to compete against some of the top bowlers around the Country, as the Canadian Youth Championships are taking place this week. Action will take place all week including the Foster-Lang Pairs tournament that is designed to match. West Vancouver LBC was the host to a fantastic week of Bowls, as the BC Senior Championships was held during a great stretch of weather on the North Shore. Always a great host WVLBC made the players feel welcome as Teams from around the Province made their way to play 2 bowls triples and earn. It was another fantastic weekend of Lawn Bowls that was played on Vancouver Island, as 20 Women's and 24 Men'sTeams would descend upon Juan De Fuca Lawn Bowling Club for the 2018 British Columbia Pairs Championships. With the greens always in top condition, competitors. The last chance to qualify for the Canadian Championships is this weekend over on Vancouver Island as David Mathie and his crew at Juan De Fuca LBC have everything ready to roll. Always known for doing a great job this weekend will be no different as the best Bowlers across the Province will be. Bowls BC has decided to add prize money to the Provincial Triples Championships. The Triples discipline this year has been removed from the Canadian Championships as Bowls Canada felt that this was just too much to handle. Triples is one of the most played Team event across our Country so trying to continue this the. 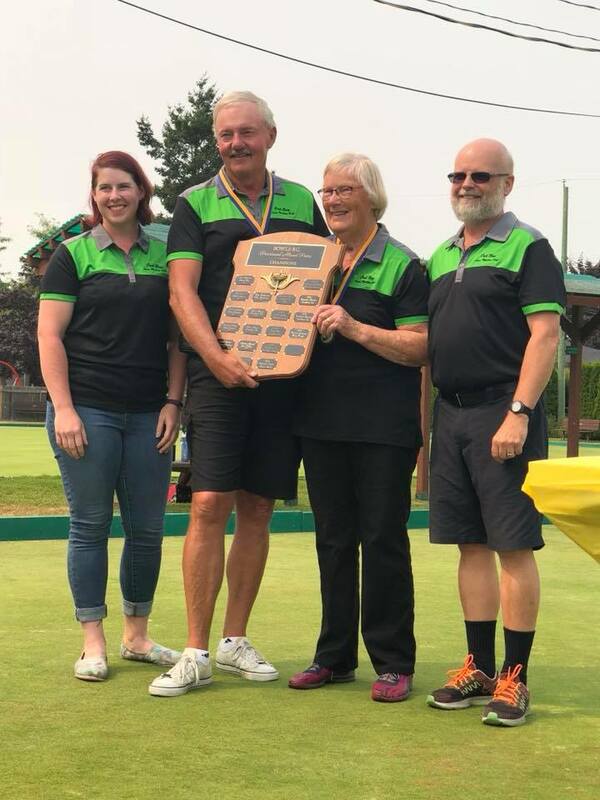 It was a fantastic weekend of Lawn Bowls as the BC Provincial Championships were held to determine this years Champions. This year the format would change back to Round Robin play allowing players to play a few games throughout to get ready for the knockout rounds. With some great action being played and favourites getting knocked.